3. Do you work with children that are nonverbal? Absolutely. 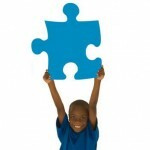 It is estimated 25 to 30% of autistic children are nonverbal and it is higher for some communities. Our approach is to teach each child the best way for them to communicate by utilizing devices, the written word, PECS, etc. This entry was posted on March 3, 2016 by admin. Autism impacts the normal development of the brain in the areas of social interaction, communication skills, and cognitive function. Individuals with autism typically have difficulties in verbal and non-verbal communication, social interactions as well as leisure & play activities. Autism is diagnosed four times more often in boys than girls. Its prevalence is not affected by race, region, or socio-economic status. Although a study done by UMN and funded by CDC and NIH stated autism was higher among Somali Americans and Caucasian Americans. Since autism was first diagnosed in the U.S. the incidence has climbed to an alarming one in 68 children in the U.S. Copyright © 2016 skills-atpe.com. All rights reserved.